Then he said to his disciples, “The harvest is plentiful but the workers are few." 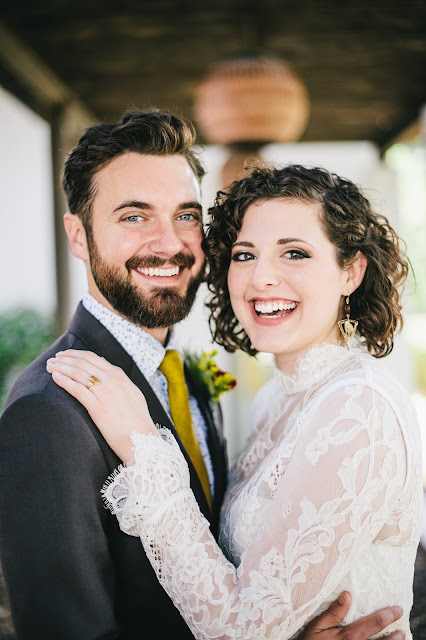 "Our campus is a mission field, and that makes you a missionary. We are called to be part of God's redemptive plan in that place. We can't look at college as a rest stop on the way to the rest of our lives. God wants us to engage our mission field." This past month across all 8 campuses that FOCUS is located, I would say we have met a total of at least 1,000 students. 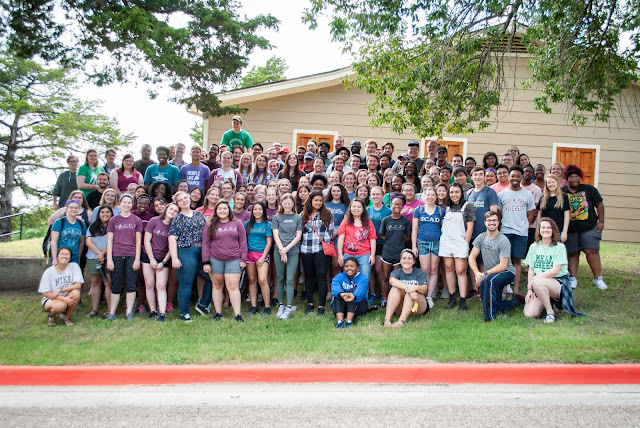 This isn't many considering how many students attend these schools but over the last few years of doing college ministry I've learned how great of a mission field the college campus is. Just at UNT alone there were around 4,000 freshmen who started school, looking to make friends, find an identity, and start a big chapter in their lives. My prayer is that we can impact those students' lives and offer as many people as possible the opportunity to know the God who loves and redeems. These are some ways we worked to meet as many students as possible this past month in order to begin inviting them to our church community and building deep Christ centered relationships with them. Let me first say that God is good and we were only able to do what we did this month because of His goodness. Also these first couple weeks of college are about numbers, but not to be impressive with size but so that we have relationships to pour into this year. These first couple weeks of college are very important weeks for college ministry, there isn't any other time like it during the school year. During the week students move in they aren't in classes yet and they are ready to meet people- and we are there to be their friends (this is what the school calls 'Welcome Week'). The week after students move in classes start and our student leaders are there ready to befriend classmates. Move In Day and Welcome Week at UNT! Each year we make it a priority to help freshman move in. This is a perfect opportunity to bless new students and their families on a busy, memorable day. Move in day takes place at the beginning of welcome week. Welcome week is a week long event full of activities, games and speakers. Hosted by the school and student organizations. 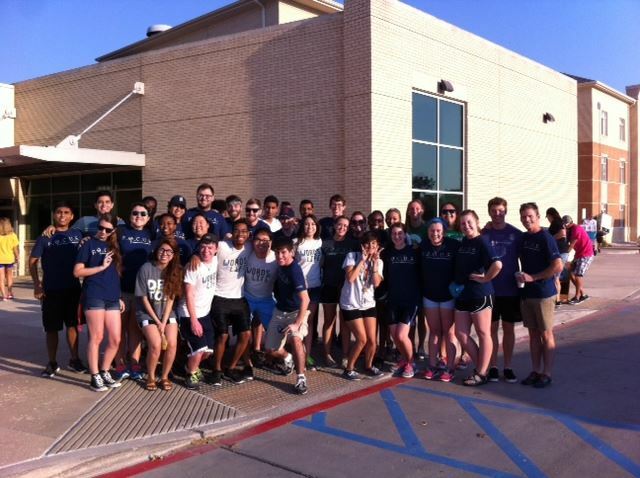 This is a picture of all our student leaders right before we moved students in. 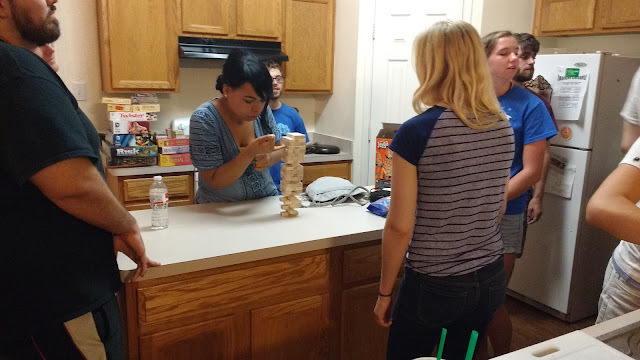 This is at a freshman event during welcome week. So many students-what an awesome mission field! 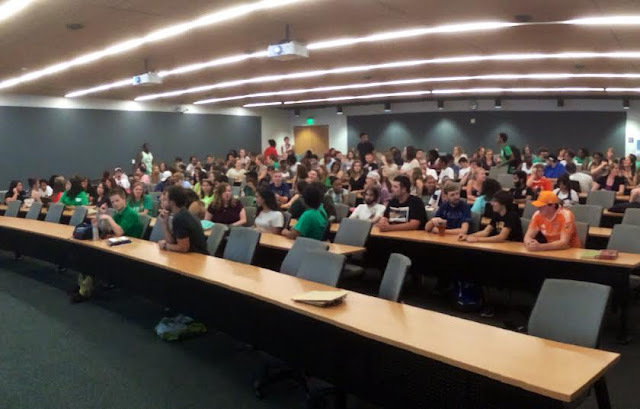 This is a group of our student leaders during welcome week. 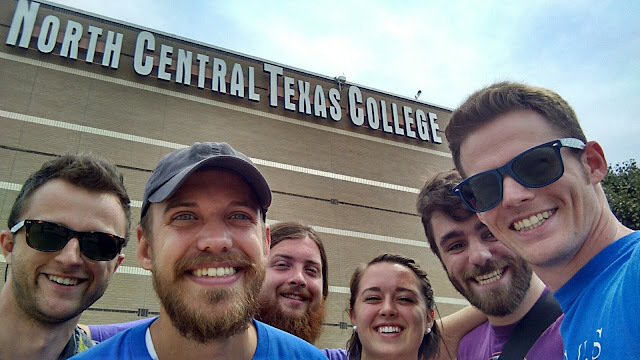 This month we also started a FOCUS community at North Central Texas College in Corinth, TX! This is our first year to have a presence here and it has been amazing! The picture above shows our team who has been at NCTC meeting students (minus myself and a student leader). NCTC in Corinth is a small campus consisting of only one building. The last couple weeks we've been able to meet many of the students there and spend consistent time with them. I pray that we can help make NCTC a great place to go to school. NCTC Welcome Back Bash! This an event put on by the school allowing for the schools organizations to meet students. We were able to meet many students and had fun talking with them. 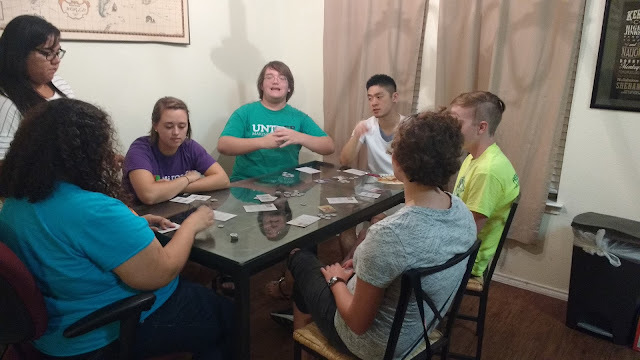 We hosted a game night and invited the students we met at NCTC. 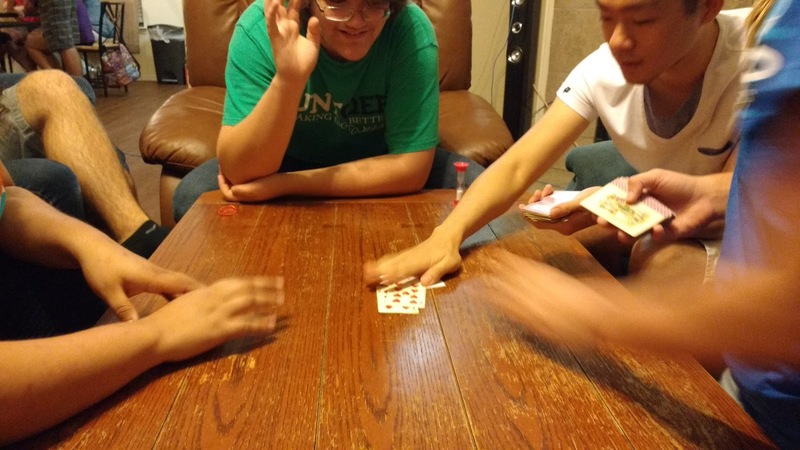 We had a blast and were able to continue building relationships with these students while creating a safe environment where we can laugh and have fun together. Friday Night Fellowship! This was our first weekly FNF of the school year! At FNF we do worship and one of our pastors shares a sermon. This is a time for all the college students that we meet at UNT, TWU, and NCTC to come together and fellowship with each other. What to be praying for this coming month! Be praying as we begin to start one-on-one bible studies with the students we met. Be praying as we start our Core groups as well. Core is what we call our weekly, gender specific small community groups. In Core students discuss scripture, a topic of some sort, pray, and share their lives with each other. Be praying that the Holy Spirit would work through our staff and student leaders and His presence would be made known to these students at these campuses. 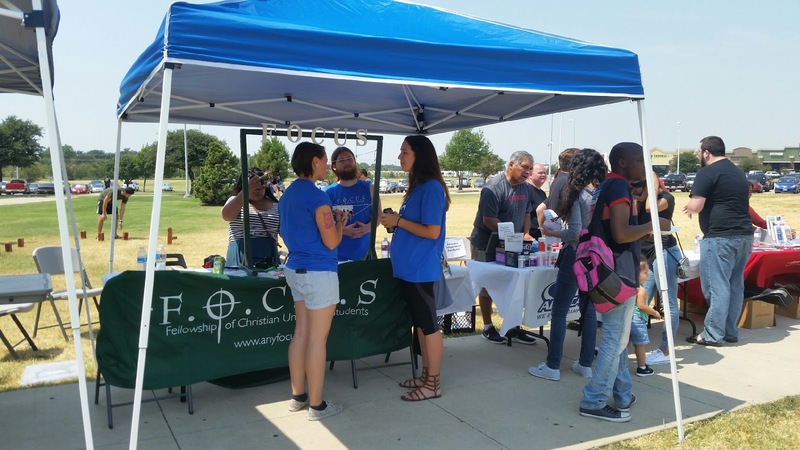 Those are some great pictures of what's going on at NCTC! I am thrilled that we are starting up out there. That campus really needs people (like our leaders) to make friends and turn that school into a fun, engaging place to be. You said we probably met over 1,000 students across all of our campuses. I have no doubt it was many more than that! I am waiting to see who sticks around after the Welcome Week excitement wears off; those are the students who really want to find God and see their lives transformed.